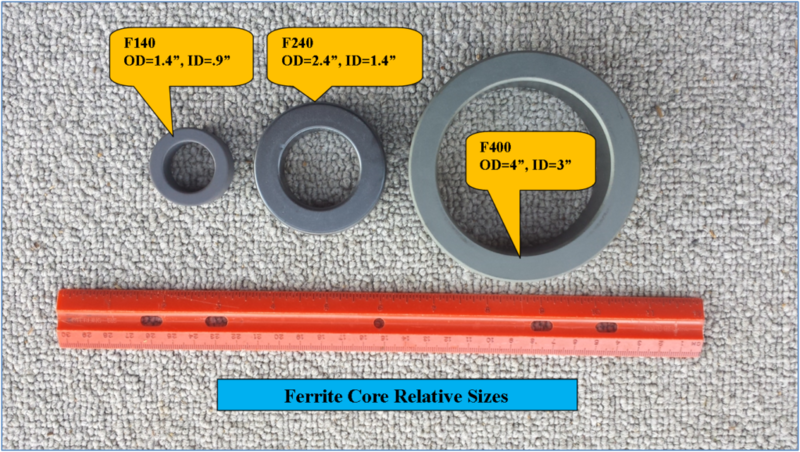 Ferrite Toroid/Ring Cores are available in numerous sizes and mixes (permeabilities (µ)). Their permeability range is from 20 to more than 15,000. 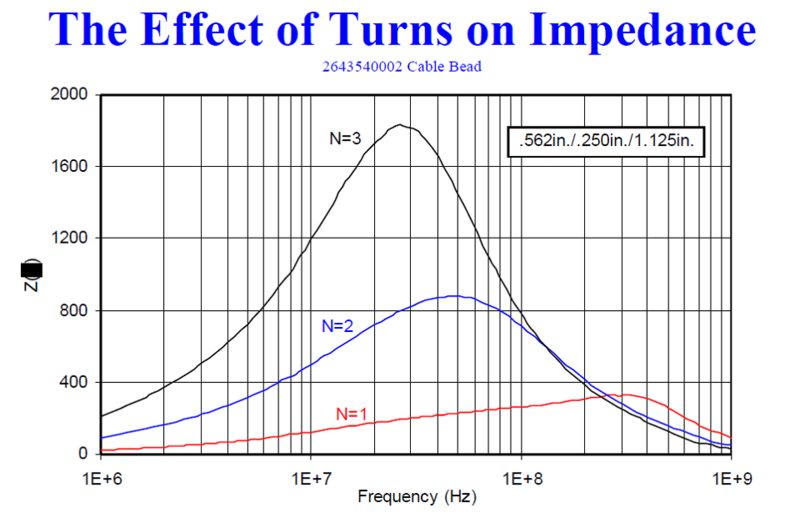 They are very useful for resonant circuit applications as well as wideband transformers (baluns/ununs) and they are also commonly used for RFI/EMI attenuation. We can supply sizes from 0.12 inches to 3.0 inches inside diameter directly to accommodate a variety of cable and wires sizes as well as inductance ranges. Ferrite toroid cores are well suited for a variety of RF circuit applications and their relatively high permeability factors make them especially useful for high inductance values with a minimum number of turns, resulting in smaller component size than iron powder cores. 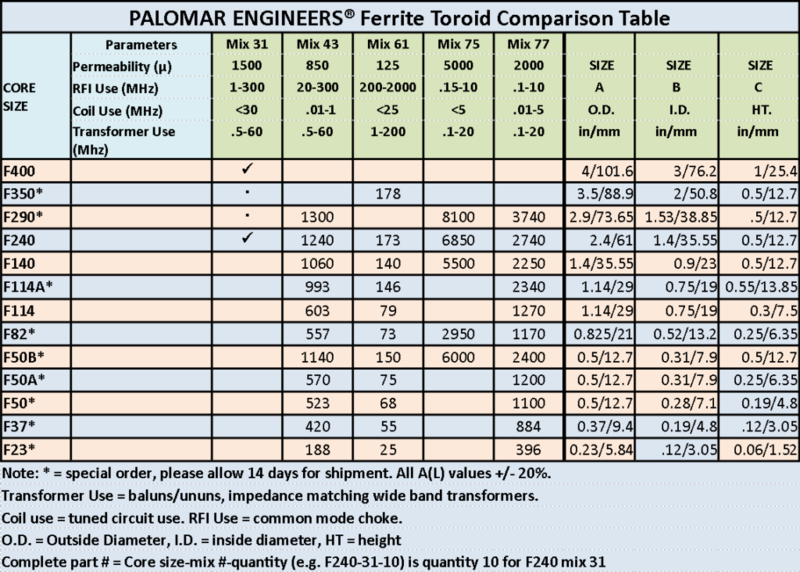 A table of Ferrite core toroids, including physical dimensions and AL (mH/1000 turns) values, and magnetic properties are found in the tables below for each mix. The tables show the sizes available for a particular mix. For Mix Selection Guidelines click here. 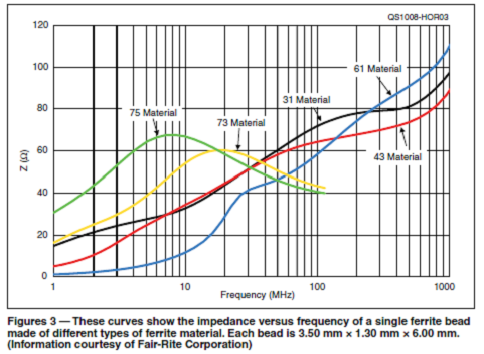 Not sure of what mix to get for your RFI/EMI needs? Try the Ferrite Ring Combo Pack which covers RFI suppression from .1 – 2000 Mhz and solves most AC/DC cable and many coax antenna feed line common mode issues.